February 5, 2008 - Joint hearing with the Senate Transportation & Homeland Security Committee. Provide effective budget oversight of state agencies to ensure that monies appropriated are spent wisely. 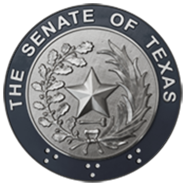 Particular areas of focus will include the Texas Department of Transportation, Department of State Health Services coordination of Mental Health Services, Texas Parks and Wildlife Department revitalization of State Parks, Health and Human Services Commission management of Frew settlement agreement and waiting list slots, Department of Aging and Disability Services improvement of State Schools, Texas Department of Criminal Justice roll out of treatment programs and review of the salary career ladder for employees for retention purposes, Texas Youth Commission achievement of reform, Texas Southern University rehabilitation, Higher Education Coordinating Board implementation of incentive programs and the creation of the Texas Cancer Research and Prevention Institute. Study the effectiveness of cash management strategies of the state. Review the quarterly amount of cash on hand and its use and potential to generate excess returns. Include an assessment of cash flow problems that exist in school districts and request that the Comptroller of Public Accounts report on the additional short-term borrowing needed and the potential impact on bond ratings if legislation is not passed which allows for the "smoothing" of state payments to school districts. Explore the policy implications of allowing school districts, or other public agencies, to participate in a permissive pooled collateral program which provides for the centralization of collateral in a pool which will be tracked and verified to meet state requirements. Evaluate the effectiveness of existing state tax incentives that encourage employers to provide health coverage to their employees, including tax incentives under the revised state business tax, and make recommendations for additional deductions or credits that increase the number of employees covered by health care insurance. Compile a list of significant state assets and infrastructure, including but not limited to the state lottery and state real property, and determine if each asset is being used to the highest and best use possible in the interest of taxpayers of Texas. Where appropriate, provide analysis of alternative uses of underperforming assets, potential cost savings or revenue gains and the legislative actions that would be needed to make the changes that are in the best interest of taxpayers. Study the funding of county public hospitals and the role neighboring counties without a county hospital should play. Monitor and provide a brief update on the implementation of legislation addressed by the Finance Committee, 80th Legislature, Regular Session, and make recommendations for any legislation needed to improve or enhance and complete implementation. HB 3732 relating to ultra-clean coal technologies, and determine the amount of property tax removed from the tax rolls, as well as the corresponding impact on school finance. Identify any changes needed to strengthen the program and ensure its success. Review and make recommendations regarding the structure and organization of higher education, focusing on funding of the current higher education system, including financing capital projects for general academic institutions and for health-related institutions and changes to funding flagship research universities such as The University of Texas at Austin and Texas A&M at College Station. Determine the adequacy of formula funding to support basic functions as well as supporting critical statewide needs and improvements on the various methods of funding research. Reviews should include institutional structures that maximize efficiencies and incentive structures that increase the number of graduates. A review of funding formulas should also include the application of proportionality of state contributions for higher education employee health benefits. Review state student financial aid programs (TEXAS Grants, B-on-Time) and provide assessment of the programs' effectiveness and future funding needs. Study the effects continued tuition deregulation will have on college enrollment and accessibility. the likelihood of, and any associated benefit from, increased compliance with the existing business personal property rendition law if chief appraisers are given limited audit authority. Study the benefits and limitations of property tax appraisal caps compared to a limit on revenue a local jurisdiction can receive without the approval of the voters in the locality. Consider alternative sources of funding to replace property tax revenues. Study the cost and benefit to the state of projects approved by school districts limiting the value of business investment under the Texas Economic Development Act (Ch 313, Tax Code), and the funding impact on public schools. Review the practice of school districts approving budgets contingent on the passage of a rate-rollback election.